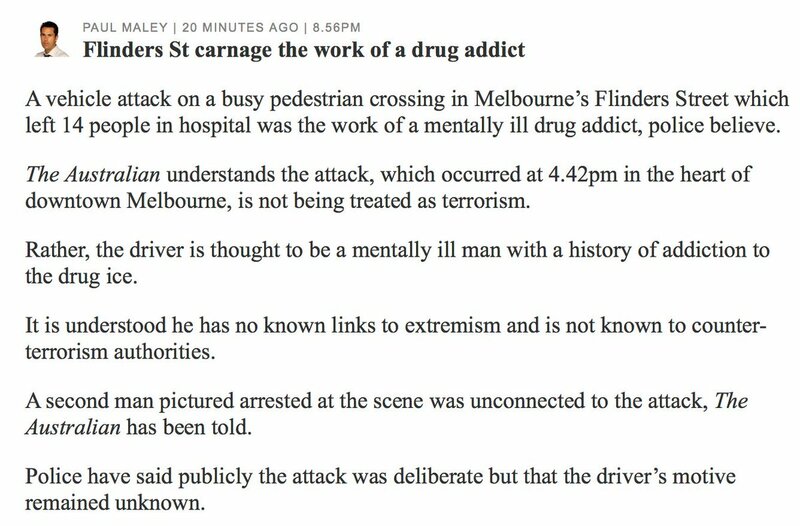 The narrative from Murdoch’s proudly right-wing anti-Islam newspaper? This is the terrifying moment a gas bottle exploded at a shopping mall in Melbourne‘s south-east. 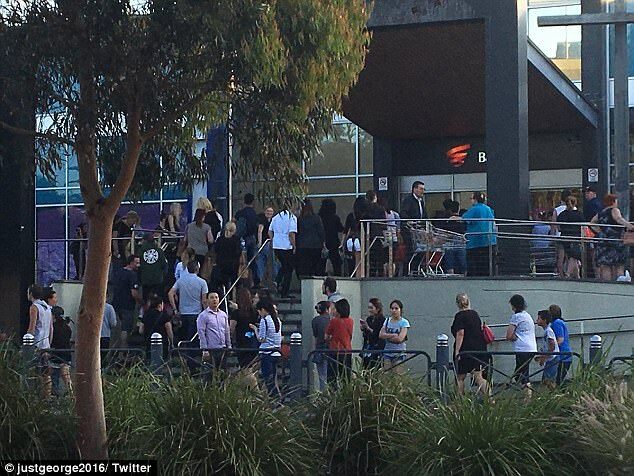 Frantic Christmas shoppers were evacuated from the Bayside Shopping Centre at Frankston after gas cylinders exploded at the Bob Jane T Marts tyre workshop in the complex shortly after 7pm. 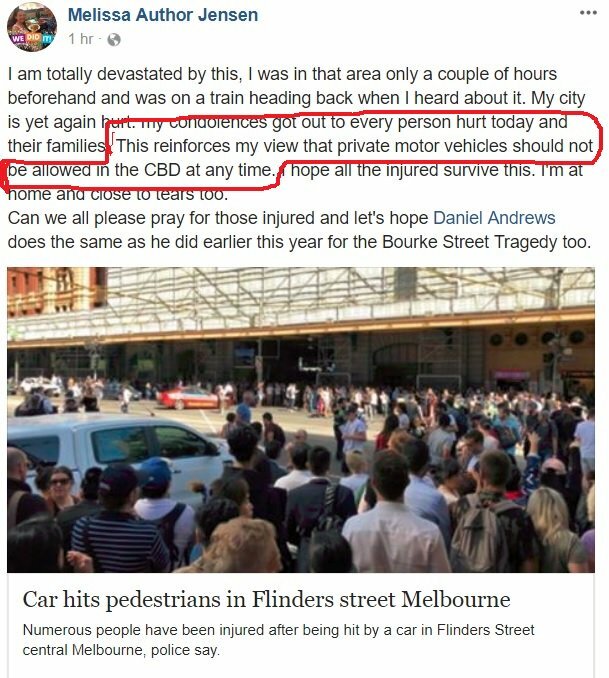 Witnesses reported hearing multiple ‘bangs’ and visible flames, only two hours after a four-wheel drive was driven into pedestrians in central Melbourne. 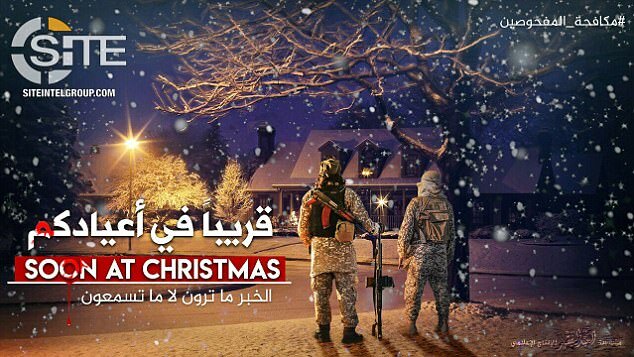 ISIS fanatics are being urged to attack ordinary families in their homes at Christmas, burn churches and derail trains. The terror group’s propaganda chiefs have issued a chilling 17-point plan to help lone wolves mount raids over the festive period. 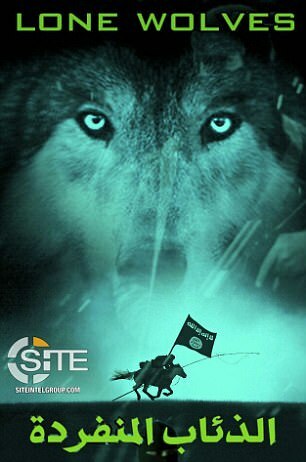 The guide – featuring the image of wolf and an ISIS fighter on horseback – is written in Arabic and English and reveals how to derail trains and suggests burning churches and targeting markets and important factories, according to the SITE terrorism monitoring group. 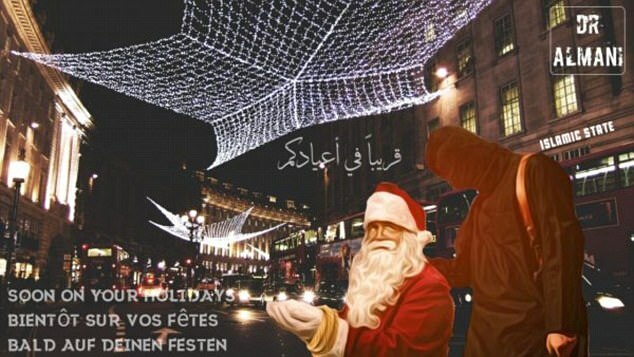 Militants have also been sharing an incredibly detailed pipe bomb making manual that uses Christmas lights to trigger explosions on encrypted internet channels as they call for the lone wolf attacks in the West. The document boasts the device cannot be detected by sniffer dogs and in just two days the device could be ready to kill at least 10 people. It has several pages of full colour instructions including photographs of how to prepare the materials, build fuses, detonators and timers from household products. Bangladeshi Akayed Ullah, 27, is said to have used fairy lights to detonate his home-made device close to Times Square. An ISIS propaganda poster released late last month specifically called for an attack in that very location. Zealots are also passing on details of an Al Qaeda terror tutorial that shows would-be Jihadis the know how to make a devastating device from items available in the high street. The document – called Make a bomb in the kitchen of your Mom – the AQ chef – says: ‘Can I make an effective bomb that causes damage to the enemy from ingredients available in any kitchen in the world? The answer is yes. ‘And it is also because every Muslim is required to defend his religion and nation. The Jews and Christians have dishonoured the Muslims, desecrated our holy places, and cursed the beloved Prophet. ‘Today they are holding contests for the best blasphemy of Muĥammad. The manual adds: ‘Its ingredients are readily available. Buying these ingredients does not raise suspicion. It is easily disposed of if the enemy searches your home. The online work also gives tips on how to communicate with fellow hardliners via encrypted messaging services. islamophiles … Shoot on sight as legitimate Military Targets. islams … Shoot on sight as legitimate Military Targets. criminal African Tribals … Shoot on sight as legitimate Military Targets. … give the islams the backlash they so want need and desire !!! … nah – best idea is purge the lot !!! a Genocide – of islam and its islams … Total & Complete !!! and don’t forget their islamophiles !!! Me believes considering this guy’s history of drug abuse (especially if he abusing alcohol), therefore; he was probably concerned that he could not get into the paradise.